Dealing with waste disposal is very messy and daunting work. The best solution when faced with this problem is to look for skip bins hire Joondalup. When taking this route, the biggest question is which skip hire is the best? Look no further for Greedy Bins is here to take care of all your waste disposal problems. Considered as the best skip bins hire Joondalup, we here at Greedy Bins pride ourselves with providing only the best and most cost effective service for our customers. Our skip bins range from 2.5 m3 to 4.5 m3. Please feel free to give us a call so we can provide you with the best waste disposal solution for your garbage problems. We understand that Joondalup and the surrounding districts are a leafy green residential community and we cater for waste removal services in your location. We are open from Monday to Sunday, from 7:30 am to 5 pm. Our friendly customer service team is always ready to take your call. They are professionally trained to provide accurate quotes depending on the needs of the customer. All you have to do is describe your waste disposal problem and our team should be able to give you an estimate of what needs to be done. In case price is a main concern for you, don’t worry, our services are available at a very reasonable and competitive prices. Here at Greedy Bins, we understand that time is a valuable resource not only for us but especially our customers. That is why our bins are always on-time if not ahead of the scheduled delivery time. 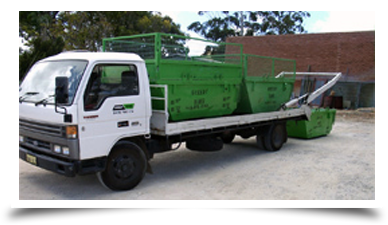 Our professional waste disposal team is ready for same day delivery across Joondalup. So if you are wondering how to deal with your waste disposal problem, worry no more and give us a call at 0419 760 174. We will take care of all your garbage problems without burning a hole in your pocket. Greedy Bins is the best skip bins hire Joondalup.